Join us this Saturday, 30 August 2014, for our latest easy going ride when we will be looking at some of London's lidos - bring your swimming costume if you fancy a dip! Ride with us round some of London's glorious lidos, past and present. We will then ride to Tooting Bec Lido, originally a building project for unemployed men, which opened in 1906. At 100ft by 30ft it may be the largest open air swimming pool in Europe. We ride past the ornate Streatham Common Waterworks (1888) then along the lively River Wandle to Earlsfield, our likely lunch stop. After lunch we will pass the site of Wandsworth Open Air Pool in King George V Park. 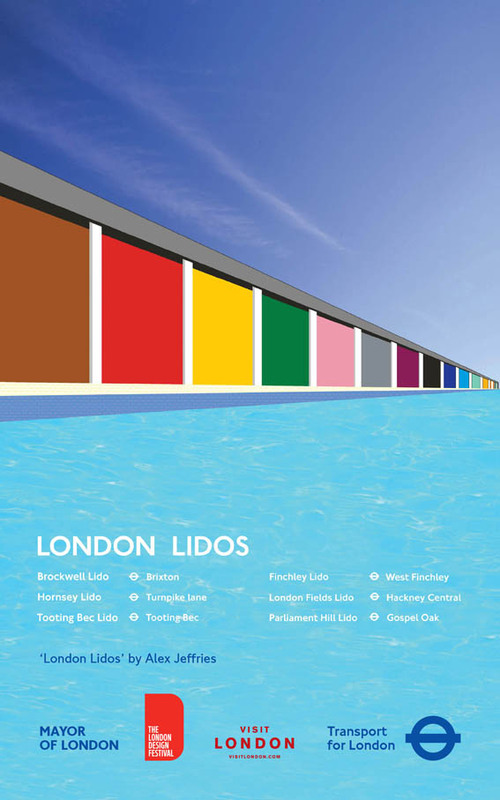 Then we'll most likely take the overground to Gospel Oak for the Parliament Hill Lido. There we can have tea on the terrace overlooking the sleek stainless steel lined pool, and some of us will swim. Bring your Oyster card or Freedom Pass, swimming gear, and a snack. We will finish around 4-4:30pm.